Storage Cabinets for Home, Workshop, & Beyond! Click on any garage cabinet type below for further information & pricing. Spring Sales Event Currently In Progress On All Cabinet Lines! New! 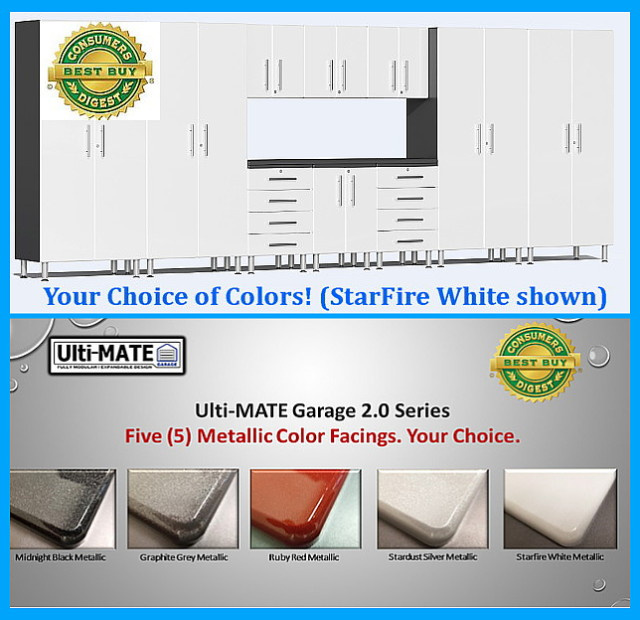 Ulti-MATE 2.0 Premium MDF Cabinet Line - Five Color Choices! Hercke Organization Solutions are designed for a growing segment of discerning individuals who appreciate sophisticated, high-quality design in every aspect of their lives. When it comes to upscale storage, Hercke cabinets offer the best value on the market with an unmatched combination of beauty, affordability, and quality.